CAMDEN, NJ - The Delaware River Port Authority (DRPA) and the Port Authority Transit Corporation (PATCO) today announced the launch of a new mass notification service for its bridge and train customers. The need to ensure customers are informed of real time travel conditions has never been greater- the Authority has experienced record numbers in 2018 with more than 106 million vehicles crossing the DRPA’s four bridges and more than 10 million passengers riding PATCO trains. The new alert system is powered by Everbridge, a recognized leader in mass notification systems and replaces the Authority’s previous system which in recent years has become unsupported, unreliable and unstable. Current alert subscribers must re-register for the new system in order to meet Telephone Consumer Protection Act (TCPA) compliance guidelines by providing express written consent they wish to receive the Authority’s alerts. · DRPA — Alert and advisory messages about events affecting bridge travel such as significant disruptions, motor vehicle crashes, hazardous conditions and travel restrictions. · BFBWALKWAY — Messages regarding changes in the Ben Franklin Bridge Pedestrian Walkway hours. · PATCO (Weekdays 6:30 a.m. to 7 p.m.), PATCONIGHT (Weeknights 7 p.m. to 6:30 a.m.), and PATCOWEEKEND (7 p.m. Friday to 6:30 a.m. Monday) — Messages and updates for train service interruptions of 10 minutes or more. · PATCOSTATION — Messages affecting train station amenities such as parking, escalator or elevator outages. · DRPAPATCO — Every alert and advisory message regarding DRPA bridges and PATCO. This includes messages from all 6 categories listed above. 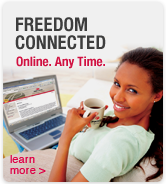 To sign up, mobile device users can select and text the category’s KEYWORD to “888777”. 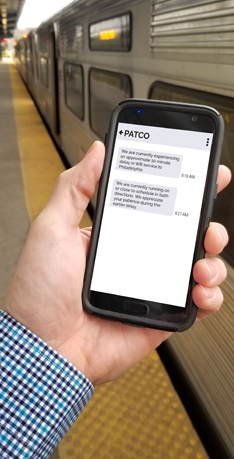 For example, a user interested in PATCO service information which occurs during 6:30 a.m. and 7 p.m. on weekdays, would text “PATCO” to “888777” to sign up. After sending the initial sign up text, an automated text message response will confirm the registration. Users may sign up for multiple categories by texting each KEYWORD to “888777”. If at any time a user decides to stop receiving text message alerts, they would simply text “STOP” to “888777”. The text alerts will complement the travel alerts the Authority currently shares on social media.